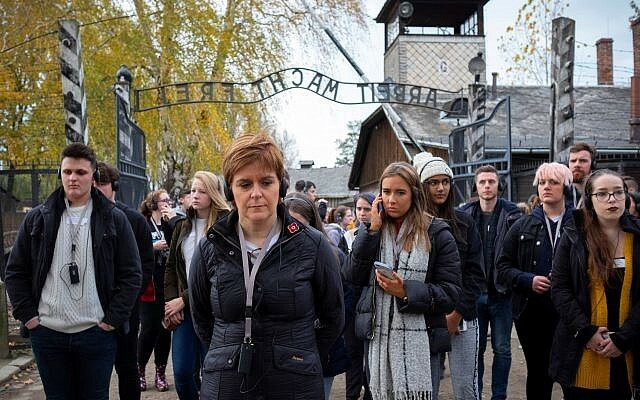 A rabbi conducting a memorial service at Nazi death camp Auschwitz-Birkenau presented Scotland’s First Minister with an heirloom as a token of thanks for Scotland’s role in saving his family. 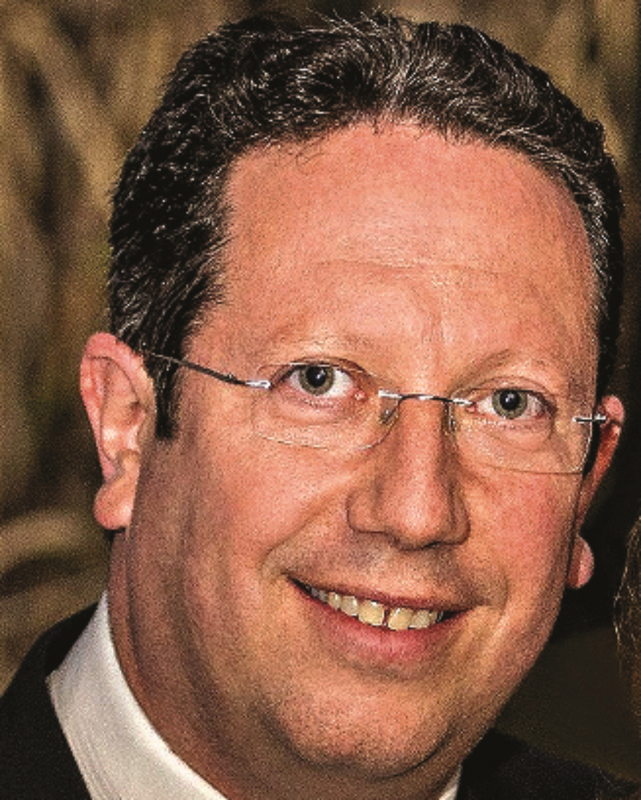 Rabbi Daniel Epstein told Nicola Sturgeon, who was visiting the camp with a group of 200 students from Scottish schools as part of a Holocaust Educational Trust trip, that without a Scottish minister he would “not exist”. After giving a memorial service to victims of the Holocaust at the end of the camp’s notorious rail tracks, he revealed the personal tale of his grandmother’s flight to freedom. He said Lotte Sara Maylice was a 24-year-old living in Berlin in 1939 when she tried to escape the increasing persecution of Jewish people like herself by attempting to send an advert to newspapers, including the Daily Record in Scotland, offering to be an au pair overseas. Despite being unable to pay for the adverts as Germany currency at the time was restricted from being sent outside the country, the post office clerk she approached took pity on her and promised to have them placed. Presbyterian minister Reverend White answered the advert, sent her authorisation to come to England, met her in London and took her to work as a family maid at his manse in Perth. She met a man who lost his wife and daughter in the Treblinka camp and they married at Giffnock Synagogue in 1947, before moving to England and having two daughters, one of whom later gave birth to Rabbi Epstein. The rabbi, of Cockfosters and North Southgate Synagogue in London, became emotional as he handed over his grandmother’s enemy alien authorisation certificate which gave her refugee status and exemption from internment. He said: “I haven’t told this story because I only found this particular enemy alien authorisation a few months ago and I would like to present it to you First Minister Nicola Sturgeon on behalf of my family. “Because, you see, for the kindness of a clerk in Nazi Germany who sent an advert without taking payment and for the kindness of Reverend White… my family now exists. My parents now exist. My grandmother had a chance for a life in England, in fact in Scotland to start with. Ms Sturgeon said: “It was a lovely story to end a really moving day and a direct connection between him and his family and the Scottish contingent that were there.